"We believe that dogs deserve the best possible care and companionship as important members of our family." ​This service is designed for those owners who work, are elderly or disabled, or just have other commitments. Perhaps you are having a day out? Rest assured your dog will be cared for with the same devotion we give to our own pets. Initially we will visit you and your dog at home for a meet and greet and answer any questions you may have. This consultation is free and you are under no obligation ! We are very flexible and will discuss with you in detail, your dogs requirements. If you are happy to appoint us to care for your pet we can then arrange a trial walk for your dog if required. We will then arrange to come to your home and collect your dog at an agreed time and take them for an energetic, stimulating walk in local woodland and countryside. 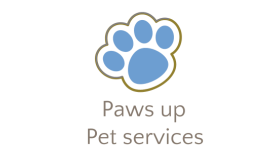 After the walk we will deliver your dog back home, towel dry any muddy paws and refresh their water bowl, leaving your pooch happy, relaxed and ready for a nap. We do not just walk around a field or park, we play with your dog and allow our groups of dogs to play with each other for plenty of physical and mental stimulation. All group walked dogs are placed with suitable companions of similar age and temperament, in small groups. ​Dogs will be walked for at least an hour plus travel time in our luxurious crated van . We will walk on lead initially, and group walks are walked off the lead dependant on their recall and with your written consent. Our off lead experience is fast paced giving your dog plenty of energetic exercise leaving them to return home relaxed, calm and content. What about our beloved pooches who despite their senior years, still enjoy a nice stroll? Walking your dog can sometimes be hard work especially if you are no spring chicken yourself, or weather is too cold and damp, or you are just not feeling up to it. I have an old fart of my own and know how important it is for her to have some gentle social time away from my younger, higher energy dog. What ever your requirements our Old Farts Club takes care of our senior pooches. ​Old farts toilet break stroll. We all get a bit grumpy as we get old and If your old fart wishes to go it alone an individual walk can be arranged. In addition to the toilet break service we can add on a short gentle stroll to this service if required. Fill out our contact form with your requirements. "Young guns having some fun, crazy lady keeps them on the run....."
Do you have a high energy dog who needs a fast paced, all action adventure ? Do you have a younger dog who is more energetic than your senior dog and it is a challenge to give them both the pace they need ? ​The Young guns Club is guaranteed to get your pooch panting! ​'Young guns' group meet for an energetic hike lasting approx 2 hours in tougher terrain. Your dogs will have the freedom to run, sniff and explore to their hearts content with other young guns. Plenty of games included and we finish off with a long cool drink/swim at the water hole, to cool our panting young guns down. This club is great for younger, high energy dogs and will exhaust your babies completely, leaving them physically and mentally stimulated. ​This service is suitable for off lead dogs only who have a good recall, and are well behaved. Paws up requires your written consent to allow this off lead experience. All dogs in our care should be micro chipped, neutered and up to date with vaccination, flea and worming treatments. To be included on group walks they must have non aggressive temperaments and be dog friendly. Wear their id tag on their collars. ​ for added security and safety.